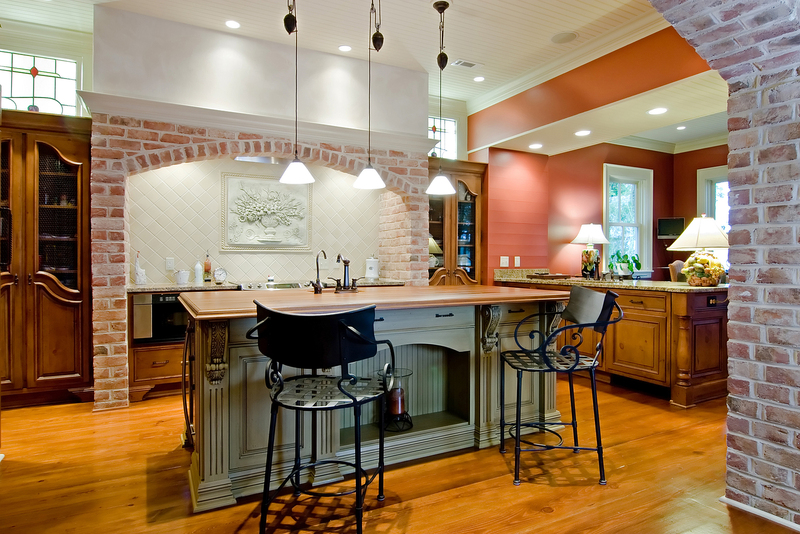 Deciding on the best kitchen countertop for your home is a tremendous decision. You will likely be using that surface daily and for years to come so make sure it is durable and beautiful. You probably want something stylish, functional, lasting and affordable, but there are benefits and pitfalls to every surface on the market. Consider this list of pros and cons before diving into the world of kitchen countertops. Advantages: Soapstone brings an earthy, organic feel to the home. Its grey tone complements most color schemes. Disadvantages: Alternatively, soapstone requires regular upkeep to avoid breaks—oil treatments and reshaping. Its innately rugged surface can add wear to dishes if you are not careful. Advantages: A strong surface option, granite comes in a variety of colors to suit your preferences. Disadvantages: The weight of granite can cause old cabinets to buckle and collapse. You will need a professional to assess existing cabinets to ensure they are strong enough to hold a substantial stone. Advantages: Solid surfacing is watertight and smooth—made of acrylic and other manmade materials. It is easy to wipe clean compared to other kitchen countertops and comes in every color imaginable. Disadvantages: Because solid surfacing is manufactured, it looks unnatural and often stiffens the look of the space. Advantages: Marble is a timeless, distinguished feature. It is resistant to heat and easy to work on. Disadvantages: Marble will show use over time. It is especially prone to discoloration if not diligently cleaned after each exposure. Advantages: Offering the best of manmade and organic materials, quartz is both non-porous yet naturally elegant. It is virtually indestructible and comes in many colors and styles. Disadvantages: Quartz is a very costly option, since it is strategically manufactured from flecks of quartz stone and synthetic resin. Your wallet may feel the decision to purchase this alluring choice. The conundrum of researching kitchen countertops is made easier by consulting with trusted professionals. They will help you consider your budget, lifestyle and style needs so you can move forward with confidence.